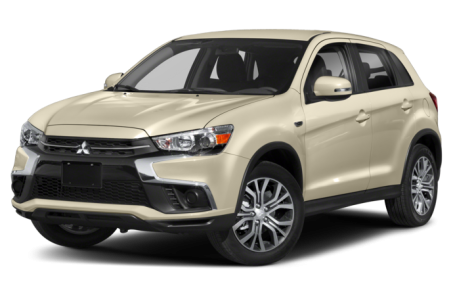 The 2019 Mitsubishi Outlander Sport is a compact SUV that seat five passengers. Maximum cargo capacity is 49.5 cubic feet. It competes with the Hyundai Tucson, Kia Sportage, and Mazda CX-5. Three trims are available: ES, SE, and GT. Powering the Outlander Sport is a standard 148-hp, 2.0-liter four-cylinder engine mated to a five-speed manual transmission or a continuously variable automatic transmission (CVT). A more powerful 168-hp, 2.4-liter four-cylinder paired to the CVT is available, which produces 167 pounds-feet of torque. Front-wheel drive comes standard, while all-wheel drive is optional.